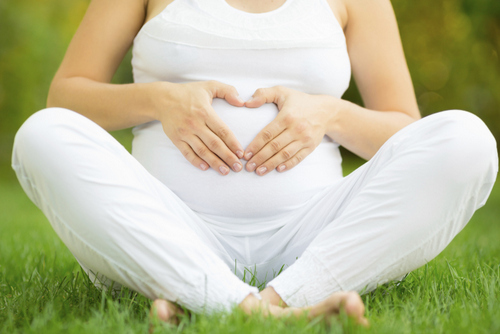 Pregnancy will affect nearly every aspect of your life, and this includes your oral health. Unfortunately, many pregnant women don't consider that their oral health should be a priority, but taking care of your teeth and mouth are extremely important during pregnancy. For the most part, your oral health needs during pregnancy will be identical to your normal routine, but there are a few added health concerns that you should be aware of when you are expecting. Most pregnant women will notice changes in their gums. For some people, the gums may look red and can bleed when brushing, and others may experience severe swelling. These changes are known as pregnancy gingivitis, and while it may peak around the eighth month of gestation, it will typically taper off once the baby is born. Pregnancy gingivitis most often affects the front of the mouth, and symptoms are generally the same as gingivitis. However, the causes tend to be different, as increased hormone levels are thought to be at least partly responsible for pregnancy gingivitis. Progesterone levels in the body can be 10 times higher than normal levels, and this can enhance bacteria growth. Additionally, the immune system can be altered during pregnancy, changing the way that your body reacts to gingivitis-causing bacteria. Also referred to as a pregnancy tumor or pyogenic granuloma, a pregnancy granuloma is a relatively rare condition. It is a growth that occurs on the gums of 2%-10% of pregnant women, and despite its name, it isn't actually a tumor and is not cancerous. In fact, granulomas aren't dangerous, but they can cause some discomfort. Pregnancy granulomas are red nodules that develop on the upper gums, and the growths can bleed easily and may even form ulcers. The exact causes of pregnancy granulomas are unknown, but factors are thought to be poor oral hygiene, viruses, hormones, and trauma. These granulomas typically show up during the second trimester. • Dry Mouth. Pregnant women often complain of dry mouth, but this issue can be easily corrected. Make sure that you are drinking plenty of water, and stimulate saliva production by using gum or hard candies. • Tooth Erosion. If you battled severe morning sickness, you may experience enamel erosion due to frequent vomiting. This will most likely affect the back of your front teeth, so contact your dentist for information about how to prevent erosion. • Excessive Saliva. Pregnant women sometimes feel like they have too much saliva in their mouths during early pregnancy. This should disappear as you move from the first to second trimesters. • Brush gently and thoroughly at least twice a day using fluoridated toothpaste and a soft-bristled brush. Preferably, brush after every meal, and ensure that you are flossing daily. • Visit your dentist regularly in order to have plaque and tartar removed. Make sure your dentist knows about your pregnancy and how far along you are. If you have had gum disease in the past, pregnancy will typically worsen the problem, so you may need to come in more frequently. • Don't avoid getting treatment for your dental problems. Novocain is safe to use during pregnancy, so don't avoid the dentist if you are experiencing problems. In addition to your regular checkups, please contact us if you experience a toothache, painful or bleeding gums, and other signs of gum disease.